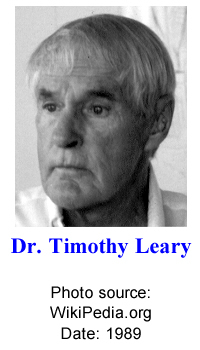 Following the talk by Dr. Leary I play a short personal message from Eldrige Cleaverto Timothy Leary that was recorded on January 7, 1995. 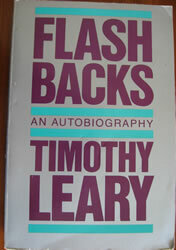 The message Cleaver was so intensely trying to convey to his friend, Tim Leary, was that he believed it was imperative that the U.S. elect a woman president in the year 2000. Unfortunately, neither of these two important historical figures are alive today, and thus we can only speculate as to what they would think about the state of affairs in 2008. And still they come and ask me, I show them what needs to be done, they come once and run away, back to man made chaos. That was an interesting (if not slightly meandering) history lesson/perspective to hear. Seeing how one world view set us up for the next step isn’t the way history was taught in my school, though I wish it was- I’d probably would have paid more attention. Though Leary didn’t say it, one could turn that light on him an see that his actions and influence was yet another step for how we got here today. I get the sense that he’d guess we’d be closer to the cyberpunk model then we are today. Or, perhaps we’re here, just in a more subtle and covert way. As an artist, I find comments like his to be fueling, it can lay out more of a purpose or even responsibility to help push things in a healthy direction. 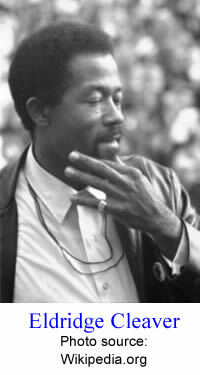 Did Leary join Cleaver in any press conferences to help him with his goal? He rambles quite a bit…I guess it is just too familiar, but it all sounds kind of like fluff to me. Oh well.